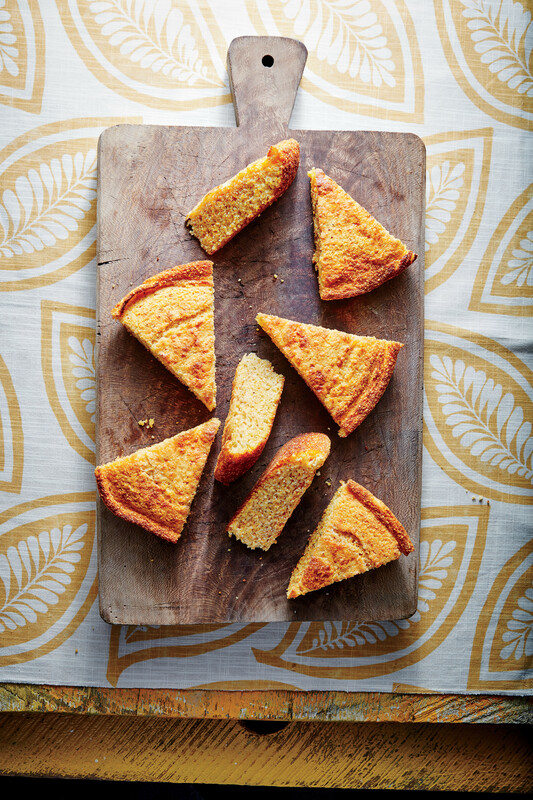 Whether you slice it or crumble it, we're loving this cornbread recipe. This cornbread recipe does include sugar, which we know is a region-wide debate, but trust us. We developed this recipe to work into our Southern Cornbread Dressing, so this hint of something sweet is perfect. If you want to enjoy this recipe on its own, try a flavored butter that will cut some of the sweetness. For those who don't mind a sweet cornbread, you're all set. Enjoy this recipe for breakfast, lunch, and dinner. Preheat oven to 425°. Stir together flour, cornmeal mix, and sugar. Whisk in buttermilk, eggs, and melted butter. Pour batter into a lightly greased 13- x 9-inch pan. Bake 30 minutes or until golden brown. Remove from oven, invert onto a wire rack, and cool completely. Crumble to create desired texture.